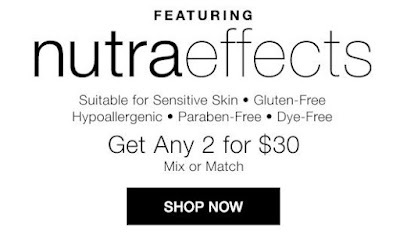 Cloud Climbing Beauty: NutraEffects...Only From Avon! Well, our nutraeffects skin care line has been out for a couple of months now and I can say that it has been quite a big hit. With a line geared to every skin type, this may just be the solution you have been looking for! Learn more about the natural ingredients in these products through the Avon Insider Blog.